The Lord calls all of us to serve Him with both our words and our lives. In times of worship, our confidence in God grows as we sing exalting songs of our trust in Him. 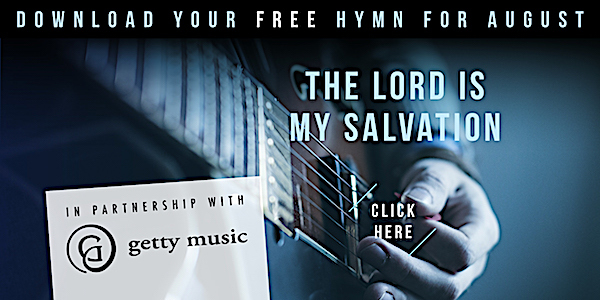 You may remember last month we announced our new partnership with Getty Music, and how on the first day of each month, we will rotate a new hymn on our site for you to download and share with friends. Our collective goal in this partnership is to promote sincere, Bible-centered worship in the hearts of God’s people all around the world. For more information about Getty Music, visit GettyMusic.com.